One of the loveliest and most colorful children's book to come out in recent years. "James’ story ideas have come from his experience with his own children, as well as, relating to the child in all of us." 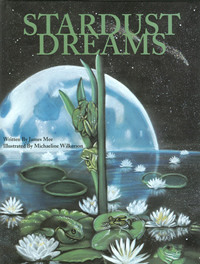 "His rhyming songs, stories, and poems enlighten and reflect, teach and delight, the young and the 'young at heart'... Stardust Dreams is wonderful!"